How Did Carrie’s Wedding Ring End Up Like This? 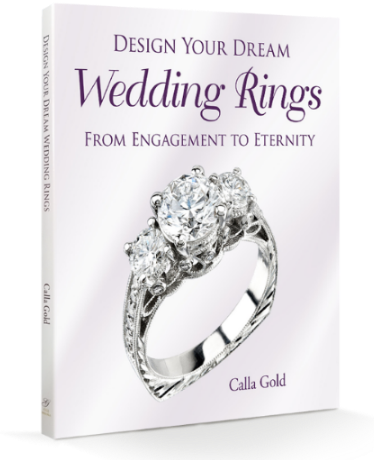 Can you imagine going 10 years of your marriage without wearing your wedding ring? 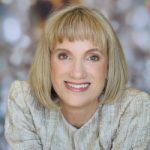 Carrie thought that she was ready to give hers up for good after a near disaster at her son’s school. 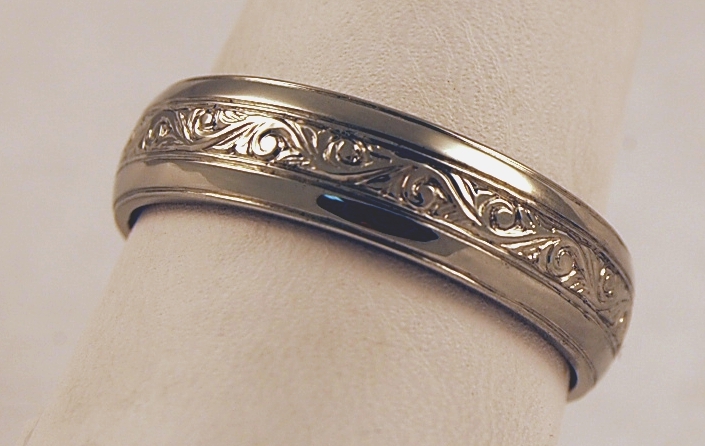 I first met Carrie when she asked if I could re-engrave the fading pattern on her inherited wedding band, which had belonged to her grandmother. I was of course happy to help! Wow! I had to hear the story on that one! Sand, Diamonds and Rocks, Oh My! Carrie had been enjoying her morning doing what she loved most – playing and learning with her 3-year-old son, Luke. 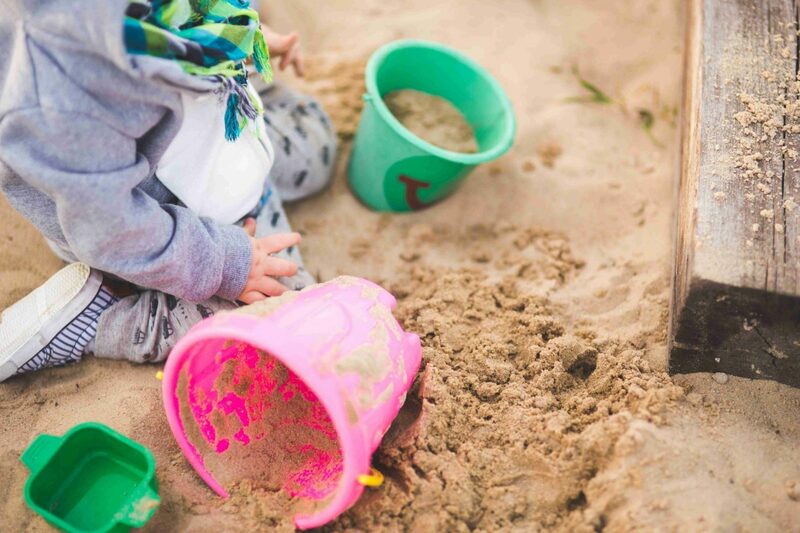 They were enrolled in the Lou Grant Parent-Child Workshop, and this particular morning session had them outside in the sand, building castles and drawing in the soft ground. As Luke and his classmates developed their motor-skills, Carrie and the parents did their best to keep sand out of their children’s mouths and eyes. Luke was hard at work shaping the third tower of his sand fortress, and Carrie was helping by bringing him dense wet sand to build with. Reaching deep into the ground, she heard a muffled *clink* and felt a sharp jab of pain shoot through her finger – the excavator had hit a rock! Carrie shook her aching hand and let loose a stream of G-rated expletives – “Oh, nuts! That hurt like a biscuit!” As she looked over her hand to survey the damage, she quickly forgot about any pain she had felt – her ring setting was cracked in half and the diamond was missing! The children’s instructor learned what had happened and announced that she had an exciting new game for everyone to play – Treasure Hunter! 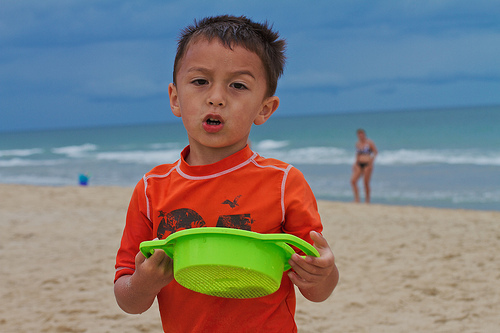 The children and parents were each given a sand sifter and assigned different plots of land to search. After several stressful minutes of false-alarms and tired children asking to play a different game, one of Luke’s classmates proudly shouted that he’d found something sparkly – Carrie’s diamond! After that scare, Carrie decided to store the diamond and her cracked wedding ring in her safe. There they sat untouched for 10 years. When Carrie first showed me the wedding ring, it was immediately clear that the original was beyond saving. Beside the cracked setting, the ring’s already slender, delicate design had been worn dangerously thin. Every part of the ring was visibly worn and aged. 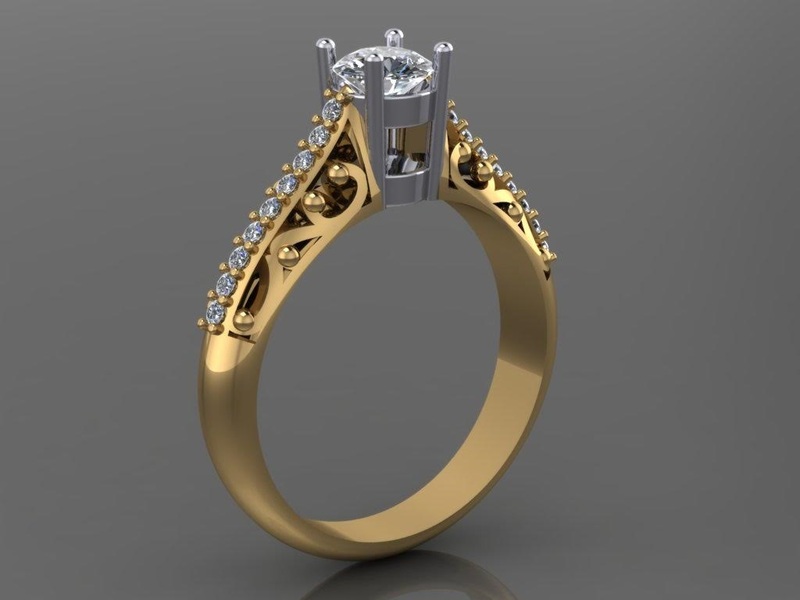 Many of My Ring Designs Begin With a Virtual Model. If You Can’t Fix It and You Love It, What Can You Do? 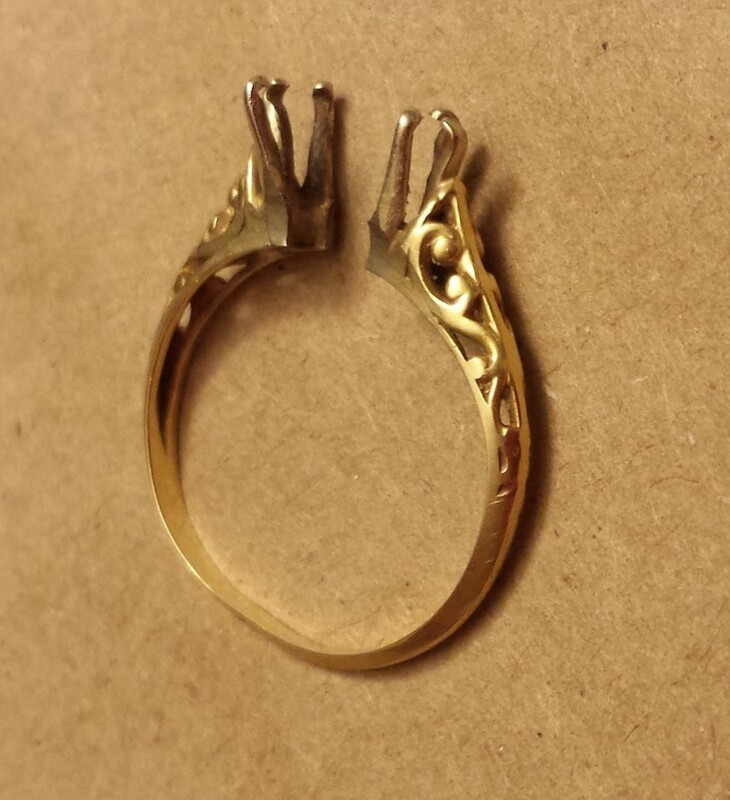 What I offered to do for Carrie instead was a ring replication with a tiny redesign. I suggested that we recreate the original design that she really loved, using the broken ring for reference, but make the new ring a bit thicker. To widen the design, I added a line of tiny diamonds in the center. Carrie’s new ring was a replica of the original with subtle changes made to improve the design’s aesthetics and longevity. Carrie loved it! Happy memories were brought back and more than a few tears. Do you have a beloved piece of jewelry that you love but can’t wear? Don’t hide it away! 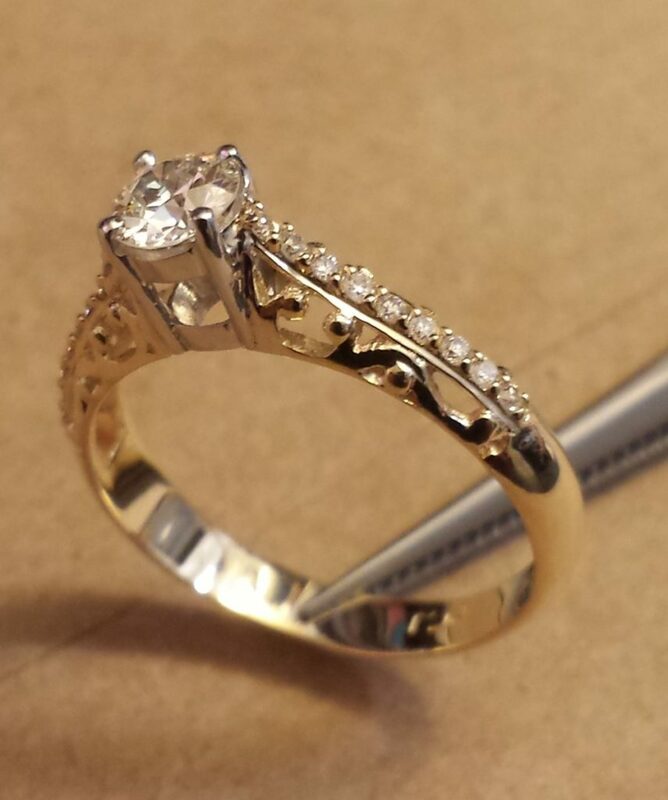 Even if your piece of jewelry is beyond repair, maybe it can be replicated or redesigned. Remember my motto: Wear it, don’t warehouse it! Could you tell me a bit about your design process? Do you start your designs on the computer or with pen and paper first? However you did it, the replica is stunning! Oh my! I can’t imagine going 10 years without my ring. That is truly tragic. I can see why she was so emotional to finally get her new and improved ring returned to her!